third of the votes for President of the fourth biggest union in the country! members standing for election in the south. struggling to make ends meet on the pittance we get. 4th April, Exmouth Arms (near Euston station) 11am-3pm. nothing that would encourage our members there is a way of saving their jobs. economic downturn has proved catastrophic. this weakness and say I will sack some more employees. that we fight every job loss. Will ‘Welfare to work’ get work for unemployed? out of work for more than 12 months rocket. A big thanks to all those that voted for me in the General Secretary election, helping me achieve over 40% of the vote. I’ve been a trade unionist since the age of 19; Tesco union rep for 21 years; and member of Usdaw Executive Council for 9 years. A Living Wage: Let’s launch a campaign to fight for a living minimum wage of £8 per hour for all workers, from 16 years to retirement age and for a decent pension. To win this you have to play a part. For the renegotiation of our national agreements: A guaranteed right to vote on our pay and an end to the systemic bulling at work of those off sick. Let’s re-establish Usdaw as a free, democratic independent campaigning trade union. Fight for Union democracy: The Executive Council simply rubber-stamps the decisions of the general secretary and that’s why meetings only last two hours. A democratically elected lay-member Executive Council should be holding the general secretary to account, with decisions printed in Arena so that you as a member know what’s going on. Women in Usdaw: Let’s campaign for paid parental and carers’ leave; time off for family emergencies; improved support for women’s health and those experiencing domestic violence. Give women a voice in the union – there are no women at the top of Usdaw centrally and not one woman in a senior Divisional post. Part-time women are excluded from working for the union. This must change! Support Distribution workers: The terms and conditions in distribution are being attacked and new sites have worse conditions. I will fight for an end to the attacks on existing contracts and conditions. For a distribution workers’ campaign to improve the conditions in the new sites. Let’s encourage retail and distribution workers to campaign together. New labour: Do you know Usdaw gives New Labour hundreds of thousands of pounds every year? We need a new party to represent working people. For too long our union has been Gordon Brown’s Piggy Bank. Build our Union: Let’s recruit the 2.5 million unorganised retail workers and win real improvements in wages and conditions. End Senior union officials taking “Fat Cat” wages: The Executive Councillor’s job is unpaid so I‘ll continue to earn my wage as a Tesco worker and you can check my expenses. I object to the wage and benefits totalling over £100,000 and the Jaguar car taken by the General Secretary. Contact me at robbie@robbiesegal.org if you want more information or would like to get involved with the campaign. For the renegotiation of our national agreements to guarantee our right to vote on pay and end the systemic bullying at work of those off sick. An end to employer’s partnership deals. For an end to senior union officials taking “Fat Cat” wages. Socialist Party member Robbie Segal shook the entire shopworkers’ union USDAW by gaining 40% of the vote for General Secretary in the ballot result announced 15 September 2008. Robbie is a Tesco worker who on shoe-string resources with a tiny band of activists in a David and Goliath battle faced the entire USDAW official machine.The whole right-wing union full-time bureaucracy was mobilised to crush her, but she still managed to gain over 18,000 votes winning the moral victory by far. The incumbent, John Hannett, had the entire union behind him – except the members. He appears in the union journal and other union publications every month. Robbie was virtually unknown to most of the members other than those that have known her first-hand as a fighter over the years. As an example, three NEC members were flown into the Central London branch meeting to argue against one Socialist Party member to secure the nomination of all the London branches for Hannett. But Robbie’s programme clearly appealed to the members by calling for an £8 minimum wage for all, no to partnership between the union and the employers- as there is in Tesco, for democracy within the union, and for an alternative to New Labour for ordinary people to have a party that genuinely represents them.Robbie also pledged to reject the £100,000 Hannett took and to continue on her Tesco wage. The result is in no way an endorsement of the current leadership. The low turnout of 13.2% reflected the fact that Hannett did his very best to subdue the issue, by calling a summer election, calling no debates with Robbie and producing no other material other than the ballot paper and a letter to the branches demanding their support. Hannett’s support cannot be seen as a vote of confidence in his performance in the job. In fact, quite the opposite. This result, for a clearly socialist candidate in the USDAW General Secretary election is testimony to the changing mood in the unions. USDAW has for many years been the bastion of the right wing with an avid New Labourite leadership. John Hannett pulled all the stops out to use the union bureaucratic machine in his favour for this election. Robbie’s brave stand, under continual threats from the right wing, has given a voice to the ordinary members. This must be built for the future. USDAW national public meeting to discuss the election results and plan for future action is this Saturday, 20th September, Lucas Arms, 245A Gray’s Inn Road, London WC1X 8QZ. Nearest station, Kings Cross St Pancras. Robbie Segal is married with three children and two grandchildren, and has been an active trade unionist since the age of 19 when, alongside other trade unionists, she was ‘locked out’ during an industrial dispute with the Express Newspapers. She has continued with her trade union activities in her workplace and through building practical and political support for other workers in struggle. Robbie was an active and vociferous supporter of the Liverpool councillors, the mineworkers and their wives during the bitter 1984/85 miners strike and then again during the P&O seafarers strike. She was a leading light in the campaign against the ‘Poll Tax’ and together with her husband Eric, who was jailed for non-payment of the poll tax, she was expelled from the Labour party. Robbie has worked in Tesco’s for 22 years and has been an active Usdaw shop Steward for 21 years. She has been branch chair and continues to hold the position of branch secretary. 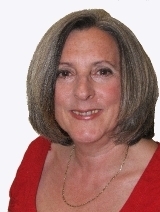 She has held many divisional and national positions including chair of the Southern Region women’s committee and is well known for her inspirational speeches at the Annual Delegate Conference. Read more about Robbie on her biography page. A Living Wage: I will launch a campaign to fight for a living minimum wage of £8 per hour for all retail workers, from 16 years to retirement age. I will fight to link pensions to earnings. Yes to National free collective bargaining – No to Partnership: I will re-establish Usdaw as an independent trade union. I will fight to restore our vote on pay and campaign to resist Tesco’s proposed 2% target for absence. Fight for Union democracy: I will return power to the Union’s elected lay-member Executive Council and ensure proper EC minutes are produced as agreed by ADM. For a General Secretary on a worker’s wage: I reject the wage and the benefits totalling over £100,000 that John Hannett, the General Secretary, receives and the General Secretary’s Jaguar car. I will take the wage that I earn as a Tesco worker and all necessary expenses will be open to scrutiny so that any member can check them. The money released will be used to campaign for our members benefit.